Who's Your Favorite Dad in Video Games? 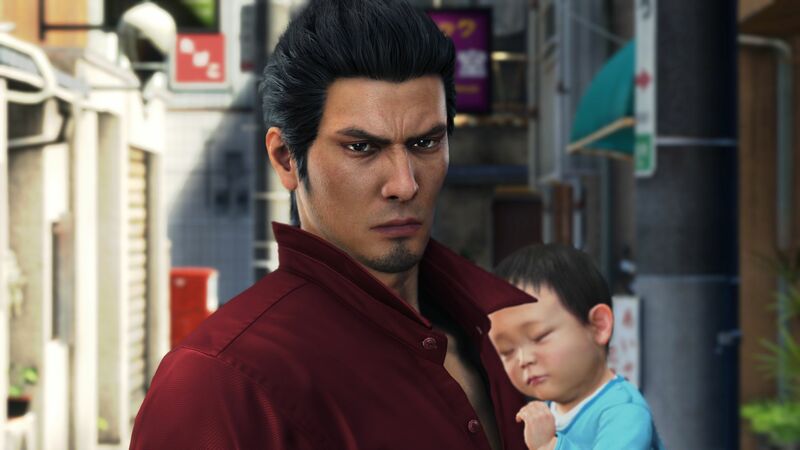 COMMUNITY QUESTION | Next week Kratos and Kazuma Kiryu are reigniting the bright flame that is fatherhood in video games. It's Dad Season, apparently. At least judging from what's in the pipeline for next week. There's Yakuza 6: The Song of Life, about a newly-dubbed grand-dad on the search for his surrogate daughter's baby daddy. There's God of War, the soft reboot of super-masculine Kratos and the new kid he has. And there's Nintendo Labo, which will just inspire a bunch of dads this week, probably. So for this week's community question, we ask everyone this: Who's your favorite dad from video games, and why? This question is quite specific, because it's not "who is the best video game dad." No, friend, it's "who is your favorite video game dad?" The former question is a harder one for me. Kazuma Kiryu is the father with a heart of gold to an entire group of goddamn orphans. Mayor Mike Haggar literally tore off his shirt and beat up punks to get his daughter back. And who can forget Heavy Rain's Ethan and his "Press X to Jason"? 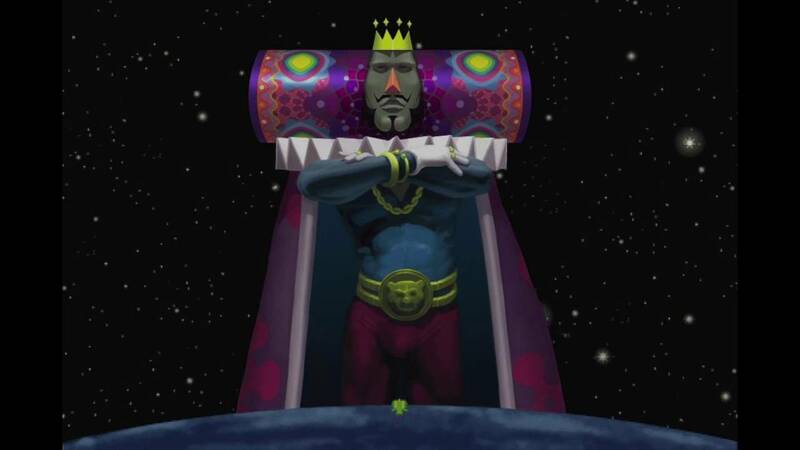 But far and away my favorite gaming dad is the King of All Cosmos from Katamari Damacy. Sure, he's not the best father in terms of being a loving parent that will listen to your problems and give you fatherly advice. Sure, he went on the drinking binge that destroyed the galaxy and left his son to clean up the mess. But look at him. LOOK AT HIM! He's so goddamn fabulous. You can't even really be angry at him. He just wants his son to be better than he is. Isn't that the core of fatherhood in most of these games? And whether he's stretching, or playing tennis, or whatever, at least the King is always interested in what his son is up to. Such a lovely father. Gaming's best papa? Bowser, of course. Yeah, the big lizard has issues with how he treats women (especially women in pink dresses), but I can't help but admire how much he cares about his snotty-nosed heir. There's a reason why Nintendo chose the towering patriarch and his son as the spokesmonsters for the Nintendo Switch's video on parental controls, right? There you have it. Bowser may kidnap Peach time and time again without a thought for what she wants, but he's damned if he's going to let his kid catch a glimpse of an anime boobie in the hottest new T-rated JRPG. There are a lot of dads in video games. Some good, some bad. But none of them hold a candle to papa bear Harry Mason from Konami's original Silent Hill game on the PS1. Name one other dad who would travel to a literal hell on earth to search for his missing daughter who was kidnapped by an evil demon cult? Not only that, but when his daughter came back wrong by the end of the game, he still took her in and raised her, even if her ultimate destiny was to become some kind of demon messiah? Harry Mason, father of the year. I think… I think I have to go with Kiryu from the Yakuza series. Maybe I have a soft spot for him because I too only have a dad-like figure in my life and not a pops related by blood. My father figure's a great guy and helped shape me into the person I am today, and really stepped up when my real-life dad decided to not visit anymore. (Annnd, sob story over.) I see a lot of him in Kiryu, honestly, another man who stepped up to be a father figure to the orphaned Haruka when he didn't have to.